Microcare International are the inventors of perhaps the most innovative contract health and hospitality textiles available. Microcare textiles were created to surpass the technical specifications required for health care and this also makes them ideal for hospitality and public areas like theatres, libraries and schools. The membrane technology includes superior flame retardancy and anti-stain finishes. It is waterproof yet breathable and is very soft to touch. The most important feature is the Nano-silver particles that are engineered into the fabric as these actively stop the growth of bacteria such as MRSA by 99.9%. The team at Microcare also collaborate with colour expert Morijke Van Loon who is an associate of the Natural Colour System Institute. 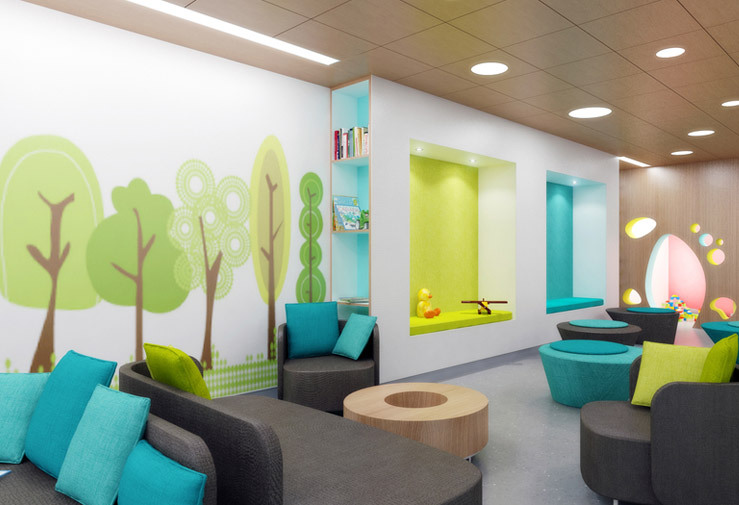 She specialises in the use of colour in health care – in particular dementia patients. The Microcare range is available in a huge range of colours, patterns and textures and digital printing of any pattern imaginable is also an option. Svenska KJ are proud to be the sole distributors of Microcare Products in Australia – please contact us for a product presentation.